In 1999, the Chinese Communist Party began a campaign to root out Falun Gong, a popular spiritual practice. 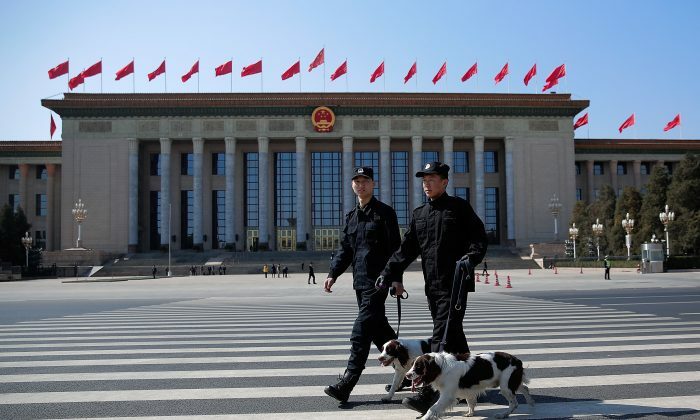 The ongoing repression is especially severe in Northeast China, where local Party officials have been noted for their enthusiastic participation in the campaign. Lan Jun of the northeastern city of Songyuan is a typical example. Before being ousted last May for corruption, Lan enjoyed a comfortable and profitable 11-year career in Songyuan and the surrounding province of Jilin. But as is the case with other such officials, Lan’s personal involvement in the jailing and torture of Falun Gong adherents was ignored in the Party’s reportage. From April 2003 to March 2006, Lan Jun was the deputy Party secretary and mayor of Songyuan, a city of about half a million people known for its arable land and oilfields. Lan was then promoted to become Party Secretary in 2006. 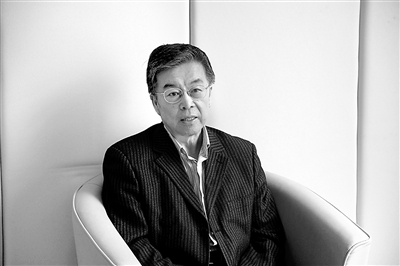 In 2011 his career reached its zenith when he became general secretary of Jilin Province. The end came in December 2014, when anti-corruption inspectors took Lan away for investigation on charges of “severe violation of discipline.” The next May, he was expelled from the Party and his occupation. According to the anti-corruption agency’s report, Lan Jun’s corrupt activities took root early on and built up over time. It didn’t take him long to accept bribes from people in the name of funeral condolences or New Year’s visits. Later, some illicit sponsors did away with any pretenses by simply leaving envelopes marking their names and containing credit card information. In August 2009, Lan led a team to visit officials assisting with local development in Tibet. One Mr. Ma sent him a bank card with about $76,000, which Lan accepted. Later, Mr. Ma found opportunity to bribe him again with a piece of valuable leopard skin and another bank card. Suspiciously, the “locals” were all dressed in the office attire common to civil servants. The anti-corruption agency clains that Lan tearfully confessed to his crimes and promised to reflect on his “Party nature” by reviewing the principles by which he had sworn when he joined 40 years ago. “The Party organization had high hopes for me, and I used to be the pride of my parents, hope of my family and an example for my descendants. Now, all of this is no more,” the report quoted Lan as saying. Scores of high-ranking officials like Lan Jun who were enthusiastic participants in the persecution of Falun Gong are becoming victims of current Party leader Xi Jinping, whose anti-corruption campaign is widely understood to be a purge of his political rivals. Under Lan’s watch, Songyuan authorities have taken harsh measures in the persecution of Falun Gong. Multiple local Falun Gong adherents are confirmed to have been killed in police custody. Chinese state media has kept silent on Falun Gong in recent years and the Party still maintains that the peaceful spiritual practice, which teaches truthfulness, compassion, and tolerance and is rooted in Buddhist and Daoist philosophy, is a “heterodox religion.” However, the most powerful offenders falling to Xi’s politics are men with known ties to Jiang Zemin, the 89-year-old former Chinese leader by whose personal blessing the persecution of Falun Gong began. Falun Gong was first publicly taught in Jilin in 1992 before spreading throughout the northeast and across the rest of the country. By 1999, government spokespeople reported that 70 million Chinese were practicing Falun Gong, and state studies praised the meditative, traditional discipline for its benefits to society. But the same year, Jiang Zemin directed the Communist Party launched a violent political campaign against Falun Gong, which was carried out by a body picked men who served in key positions across China. As part of the state effort to force the renunciation of Falun Gong, those who openly practice and insist on keeping their faith are illegally jailed, sent to brainwashing class, tortured, interrogated, fined, or fired. Falun Gong’s northeastern homeland has been the hardest hit in the persecution, which has resulted in about 4,000 confirmed deaths to date, though the real number of fatalities is generally estimated to be many times greater. Since March, 2008, as part of the effort to clamp down on unrest for the Beijing Olympic Games, Lan Jun personally planned the arrest of local Falun Gong practitioners himself. The World Organization to Investigate the Persecution of Falun Gong, a non-profit research organization based in the United States, reports that local Party secretaries at different levels, police stations of different counties, and public security brigades cooperated to arrest and detain Falun Gong adherents that July. Over 300 were arrested and many were severely injured during detention and interrogation. In 2007, Dong Fengshan, a Songyuan resident who practiced Falun Gong, was abducted, had his home searched by the Songyuan National Security Brigade, and was sentenced for nine years, without any notice to his family. In 2008, he was sent to a prison in Siping, Jilin, and died in less than a week.